The Iberian American Digital Journalism Colloquium, which emerged over the years as an informal post-ISOJ (International Symposium of Online Journalism) conversation among journalists from Latin America, Spain and Portugal attending the symposium, convened an interesting group of innovative journalists for its eleventh edition. Those in attendance shared their experiences and projects at the School of Journalism at the Moody School of Communication at the University of Texas, Austin, on April 15. Spanish journalist Miguel Toral opened the first round of talks on innovative journalistic projects, with the presentation of his site Sinfiltros.com. According to Toral, Sinfiltros.com is the first website in Spain whose content is entirely in video. Since its creation two years ago, its objective has been to denounce censorship and corruption throughout the world, Toral explained, although it also covers current affairs and curiosities. The objective of the site, Toral said, is to reach the Spanish-speaking public from places that are difficult to access, such as the Middle East, and Latin American countries where exercising journalism is dangerous, such as Mexico and Venezuela. To accomplish this, they have collaborators around the world. Like most independent news media, financing is one of the issues that must always be resolved. They maintain their website by producing audiovisual programs for Spanish media chains and now have also started producing reports for Netflix and Amazon. "High quality products are what people should pay for, but that does not happen in Spain. People also do not pay to read quality news," Toral said. One of the strategies to engage and retain audience that many news organizations use is the creation of spaces or the use of platforms through which they make their readers feel that they are part of a community. That's the plan for Radio Ambulante, a non-profit audio narrative project based in New York that began in 2012, after raising $46,000 in a crowdfunding campaign on Kickstarter, according to its CEO, Carolina Guerrero, an entrepreneur of Colombian media. In 2016, Radio Ambulante became the first podcast in Spanish broadcast in the United States by National Public Radio (NPR) on its app, and a large part of its audience (70 percent) is in the US. and in Latin American countries (28 percent). Its episodes last approximately 25 minutes, and currently they produce 36 a year, always on topics related to the culture, roots and daily life of Latin Americans. For Guerrero, a well-told story crosses borders. She added, "for us it is key that there is a global conversation," which is why they have created different ways to approach their audience. Radio Ambulante communicates with its followers via WhatsApp, on social networks through surveys on their local customs and regional words, a podcast club from which they seek to converse with their listeners, through their weekly newsletter where they promote their episodes and advances of upcoming stories. For just over two months they have also sent a newsletter on weekends with recommendations of applications, books, films, music playlists, and everything they think might interest their audience. They receive a lot of feedback from their subscribers, and they are always thinking of strategies to help them create community. Their income usually comes from foundation sponsorships and news organizations such as NPR, product development for media and various companies. From Argentina, Mij Iastrebner gave an update on the activities of SembraMedia, a non-profit organization and digital portal created in 2015, dedicated to boosting the success of digital journalists from Latin America and Spain and supporting them in the changing context of journalism. 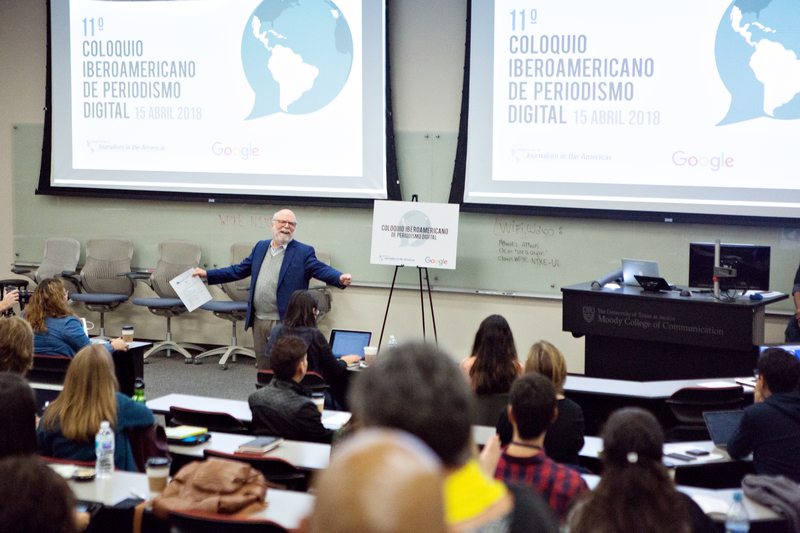 This organization, which was born in part from a massive and open online courses (MOOC) taught by co-founder Janine Warner for the Knight Center, has now also begun to produce educational content to enhance and update the skills of Spanish-speaking journalists to the digital age. Its objective is to connect journalists, empower them and transform them into leaders in the region. Twenty-four journalists, in 15 countries make up SembraMedia and work part- and/or full-time to serve the purposes of the organization. Many of them, in addition to being journalists in their countries, are entrepreneurs and also dedicate themselves to journalism education. Another project focused on training journalists, which is also focused on accountability journalism of government authorities, is Ojo con mi Pisto (which colloquially means "Be careful with my money/taxes"). 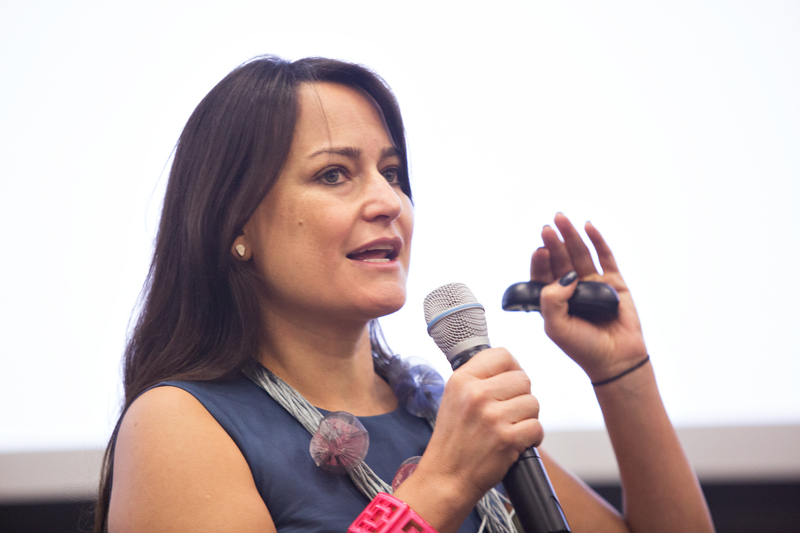 The project, based in Guatemala, was presented by the journalist Ana Carolina Alpirez. From its beginnings in 2013, Ojo con mi Pisto (in Guatemala, pisto means money, taxes) trains journalists from the interior of the country who do not have access to professional training. "In the country, journalistic training for departmental reporters is very limited. So, we train journalists on ethics, how to write a story, how to create a lead, how to report,” said the Guatemalan journalist. Likewise, the journalists of this digital sitel cover corruption issues, investigate the use of public resources by local governments and municipalities and promote citizen participation. They produce data journalism especially to cross information from public information sources such as Guatecompras --which publishes public purchases and contracts done by the State-- and do street reporting. They do data journalism especially to cross-reference information from public information sources such as Guatecompras - which publishes public purchases and contracts made by the State - and do street reporting. So far they are supported financially by associations and foundations such as Hivos and Tigo, thanks to which they have carried out several projects, such as "Open Contracting." For her part, Pilar Velasco, a journalist from Cadena SER, in Spain, spoke about the recent creation of an association that seeks to support investigative journalists, the Association of Investigative Journalists (API, for its initials in Spanish). The Spanish journalist explained that in her country the data units operate separately from the journalistic investigation team. Therefore, "it seemed relevant to have a platform in which we could put data data research, new technologies and new professional profiles that we thought were not as represented in (existing) conventional associations," she said. They began in 2017, seeking to be an ethical reference and seeking to differentiate a bit from conventional journalism that is done in Spain. The team that comprises API is interdisciplinary, according to Velasco. The four pillars of the organization, Velasco said, are: sharing knowledge, creating a relevant international network, collaborative journalism and journalistic training. As an association, they also support the journalistic guild with legal advice on issues of right to honor and information. Its focus is fundamentally local. From Nicaragua, journalist Dora Luz Romero of newspaper La Prensa explained the challenges they face as one of the oldest traditional newspapers in the country, and the strategies they use to adapt to the digital era. According to the Economic Commission for Latin America and the Caribbean (ECLAC), Nicaragua is the country with the lowest Internet access in the Central American region. However, La Prensa’s audience has grown by 20% this year compared to the previous year, now reaching 1.5 million users, that is to say almost 70 percent of Nicaraguans, said Romero, head of digital information at the daily. Adapting to the digital world "is a huge challenge, but along the way, in this digital transformation of the press, I think we have lessons that we have learned that have been very valuable," Romero said. The journalist highlighted among those lessons learning to know her audience and to produce specific content that consider their needs. "Readers no longer come to us, now we have to go out and find them where they are," she said. In that search they discovered that they could establish a distribution channel that connects them directly with their audience through the instant messaging application WhatsApp. They began to inform their audience via Whatsapp, on the occasion of the 2016 general elections. Looking for alternative narratives to power, with a totalitarian political regime like the one that exists in Venezuela with President Nicolás Maduro, the digital site Prodavinci was born. Journalist Helena Carpio, head of innovation of the aforementioned Venezuelan site, commented that they do not do daily journalism, but analysis of the news and special content on topics of public interest. "We think a lot about the user experience, and we rely a lot on experts to be able to find the best ways to visualize content," Carpio said. She also added that they use a lot of technology and specific methodologies, such as working alone, together. One of the keys of their editorial work is to plan it with all the members of the team, from all disciplines. They use data journalism frequently to build stories that reflect and make it possible to understand the country’s reality. They also develop explainers for complex issues, such as the growing and excessive hyperinflation that Venezuela has experienced in recent years. "Currently 2.5 million people read us every month, but the peculiarity is that we don’t publish daily, we actually publish little content. We have between 100 and 150 articles per month," Carpio explained. They also write about literature and movies, produce photo essays, etc. The second round of conversation was started by John Oliver Coffey. 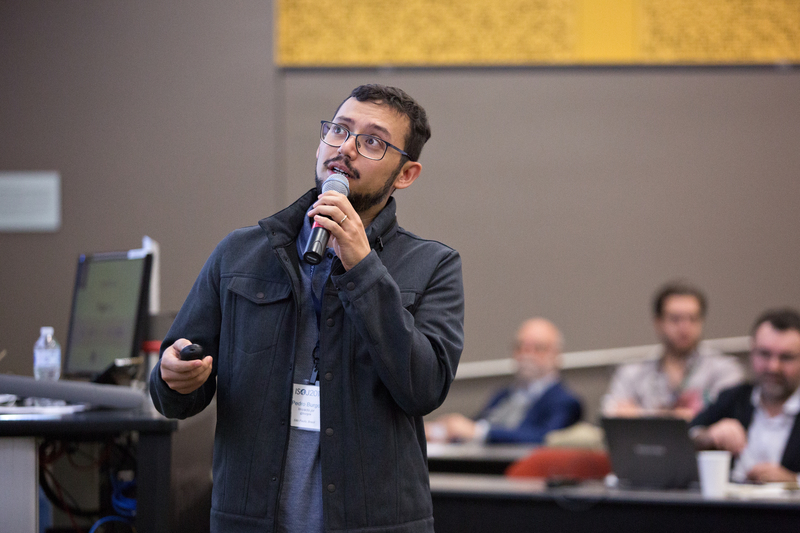 As director of the U.S./Colombian software developer NetMidas, he presented Datapico, a platform that offers tools to generate up to 12 types of data visualizations. Coffey said the product came about because of a need in Latin American media to improve visibility and become more relevant. "The cost of making digital material is more expensive every day," Coffey said. "Newspapers are looking for ways to become more relevant, to reach new audiences in other channels. That's why we focus on visualizing data, to turn complex things into intuitive, simple, visual, impactful and shareable things." The objective of Datapico, according to Coffey, is to take advantage of the multiple databases and open APIs that exist to produce interesting journalistic narratives. To make good use of data, newsrooms increasingly need to have programmers among their ranks. With that in mind, the Escola de Dados (Data School) network in Brazil seeks to bring the world of journalism closer to that of programming, according to its director, Natalia Mazotte. It is still not very common for media in Latin America to have programmers on their teams. Mazotte emphasized that this is something that should be promoted. As an example, Mazotte mentioned Operação Serenata de Amor (Operation Serenade of Love). It consists of an artificial intelligence tool that analyzes the expenses of Brazilian legislators to find suspicious expenses. The idea is to disseminate the information found and to involve citizens in a discussion about these findings. For countries in which there is a decrease in the credibility of journalism, Brazilian journalist and developer Pedro Burgos presented Impacto.Jor, a platform that measures the effects of reporting on society. The idea of this tool, created in partnership with Google News Lab, and which is already in use in Brazilian newspapers such as Gazeta do Povo, Folha de S. Paulo, Veja, Nexo and Nova Escola, is to help restore the importance of journalism for democracy in the eyes of society, and consequently, help the media improve their incomes. "Many leaders like Trump or Maduro talk about our work as fake news," Burgos said. "We have low confidence among the people because we believe that not everyone knows why journalism is important for democracy. That is the idea of Impacto: to connect the idea that journalism is important for democracy, with communication about the impacts of journalism for people. I think that will increase subscriptions and people will want to donate money for journalism." Burgos said that the idea is that the platform is open source, but this has not yet materialized. In addition, he said that a version for Argentina is in development. 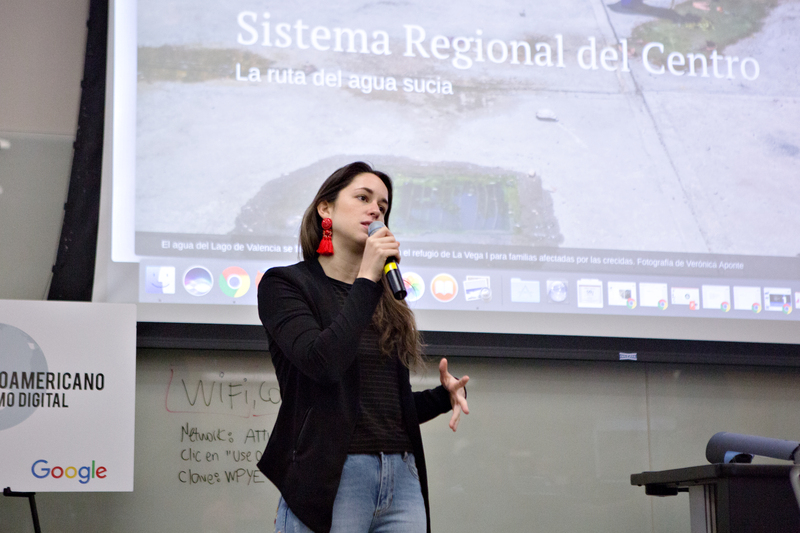 For her part, journalist Jennifer Ávila presented Contracorriente, a new digital native media site that emerged in the midst of the country’s delicate political situation and the information vacuum that existed in Honduras in 2014. Contracorriente’s first experiment was to cover the Honduran electoral process, for which they resorted to humor and illustrations to present information about the candidates, their businesses and their network of connections. Given the complex situation in Honduras, journalism acquires a high level of risk, according to Ávila. However, given the existing information vacuum, the existence of a media site that carried out in-depth research was necessary. "Everyone says 'how are they going to protect themselves? '," Ávila said. "We still do not have an answer, but we believe that the creativity to tell stories can also in some way make the messages come easily and directly to the audience we want, which is usually the young audience that is on the Internet." Given the social and political instability in Honduras, it is difficult to finance an alternative media outlet, even for those with a long history, such as Radio Progreso, which has been on the air for 62 years. Journalist Eleana Borjas shared that while the station gets 35 percent of its revenue through advertising, the remaining 65 percent is obtained from international cooperation and alternative projects, but mainly from a "solidarity club" made up of 300 citizens who contribute voluntary quotas. Additionally, a network of correspondents in indigenous communities who work without pay in exchange for four training workshops a year helps them keep their payroll costs low, while maintaining a presence in much of the Central American nation. "We have coverage in 13 of the 18 departments of the country and four years ago the signal reached the capital (Tegucigalpa)," Borjas said. 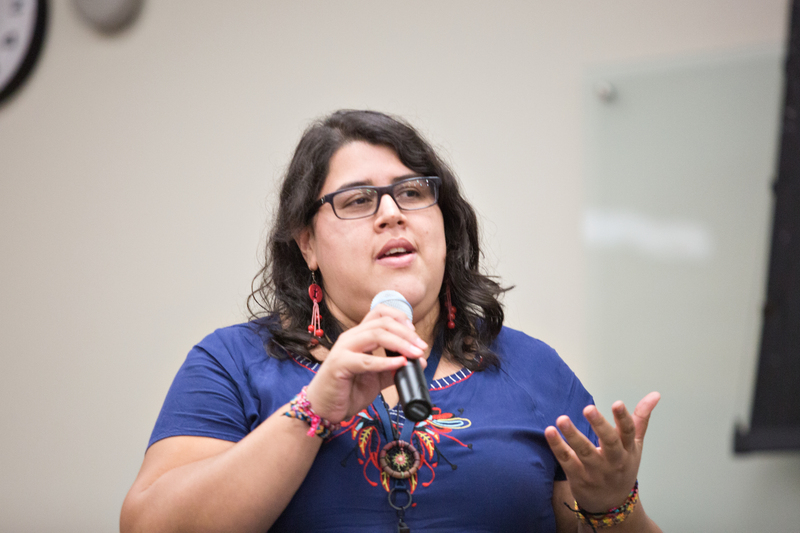 "We cover issues that have to do with the defense of land and human rights, as well as the functioning of the rule of law, which does not exist in Honduras." Find more coverage of the colloquium on the Knight Center’s blog, Journalism in the Americas. The 12th Iberian American Colloquium will take place on April 14, 2019 in Austin, Texas.